Presiding over the former Olympic Park the Anish Kapoor-designed ArcelorMittal Orbit observation tower, was described by Mayor Boris Johnson as that "something extra" needed to "distinguish the east London skyline" and "arouse the curiosity and wonder of Londoners and visitors". The 115m-high steel sculpture resembles a "continuously looping lattice" (The Independent) and is the largest example of public art in the UK. The project cost around £20m, with most of the funding coming from the involvement of Britain's richest man, the Indian-born steel tycoon Lakshmi Mittal, chairman of the ArcelorMittal steel company. Painted red and located between the Olympic Stadium and the Aquatics Centre, the Orbit is "an icon to match the Eiffel Tower" according to Boris - which is perhaps a bit antagonistic towards the French capital city of Paris, which famously lost the 2012 Olympic bid to London. Co-designed by Cecil Balmond, Kapoor's Orbit offers two-storey dining and a viewing gallery - accessible by a spiralling staircase or a lift - over the whole of the Queen Elizabeth Olympic Park and beyond. The sculpture is a permanent structure and, post Games, forms part of the lasting legacy of the area as it continues to attract visitors to east London. 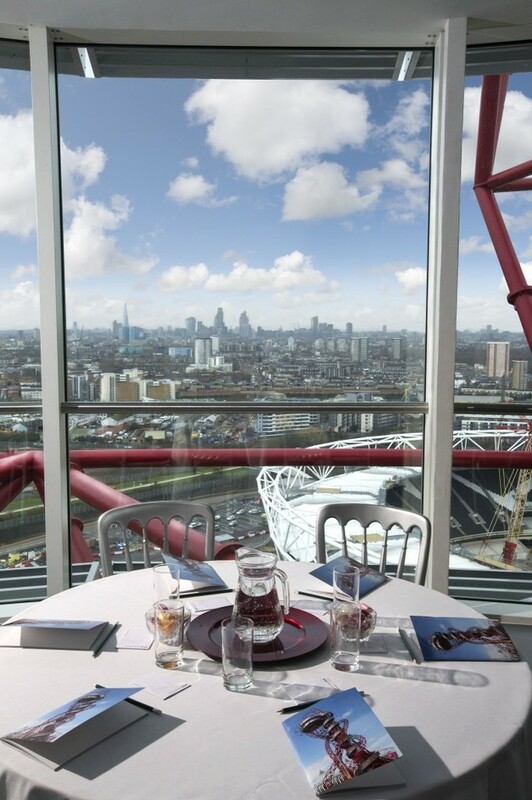 What are the best dining options near ArcelorMittal Orbit London? ArcelorMittal Orbit gyms, sporting activities, health & beauty and fitness. The best pubs near London ArcelorMittal Orbit. ArcelorMittal Orbit clubs, bars, cabaret nights, casinos and interesting nightlife. Where to have your meeting, conference, exhibition, private dining or training course near ArcelorMittal Orbit. From cheap budget hotels to luxury 5 star suites see our special offers for ArcelorMittal Orbit hotels, including The Westbridge Hotel from 84% off.